Douglas Burns is UNT’s Research Data and GIS librarian. Mr. Burns is a recent alumnus of UNT. 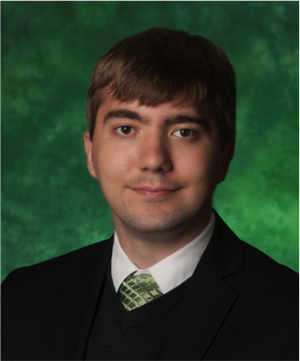 After receiving a bachelor’s in History and English from Trinity University, and a master’s in Geospatial Information Sciences from the University of Texas at Dallas, he completed a Master of Business Administration at UNT, and was awarded a Nicholas and Anna Ricco Scholarship in 2017 in recognition of his outstanding graduate work. A large part of Mr. Burns’ job involves working with UNT’s Collection Management to get more data into UNT’s catalog. This is of great value to students, who are often assigned projects that require them to find data. It is also of great importance to faculty. The possibilities around community outreach attracted Mr. Burns to UNT. He currently is building a community profile in order to facilitate collaboration between UNT and our partners in the local community. One of his current projects involves building an emergency GIS response team that would help experts at UNT partner with community members to better coordinate logistics around helping persons displaced by natural disasters such as Hurricane Harvey. 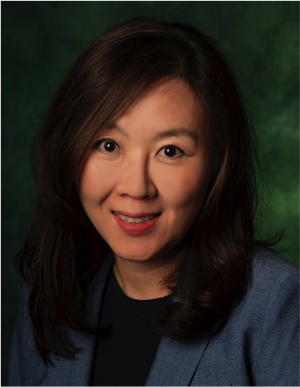 Hee Soun Jang, Associate Professor in the Department of Public Administration, focuses her research on the role of nonprofit organizations in providing public services. With a grant from the IBM Center for the Business of Government, Professor Jang and Dr. Jesus Valero (University of Utah), one of her graduate students carried out initial research two years ago on the role of leadership in cross-sectoral collaboration in responding to the needs of the homeless. This paved the way for a $100,000 grant from the Robert Wood Johnson Foundation. Work under this grant began earlier this month and involves an examination of how medical services are provided to the individuals experiencing homelessness. Homelessness is a complex problem – individuals experiencing homelessness are at high risk of preventable diseases and also are less likely to access the health care system, turn to emergency rooms at times of crisis. This type of care tends to be very costly, both in terms of the burden on hospitals, but also because health care at times of crisis is generally more expensive than providing preventative care. Some municipalities, such as Salt Lake, Utah, attempt to address these problems by providing health services via a county-level department. Others, such as Dallas, Texas, use a model that relies on the provision of some health services by nonprofit organizations. Professor Jang and her colleagues hope to untangle this complicated problem and begin to identify solutions that may be of great value to federal and local policy-makers and non-profit society serving the homeless. Phyllis Slocum is Principal Lecturer in the Department of Media Arts. Among the many hats she wears is manager/advisor of UNT’s student-run television station, NTTV. Operating 24 hours a day and seven days a week, NTTV runs 10 live newscasts per week, including one broadcast in Spanish. Its programming also includes 12 magazine shows including North Texas Now, Sports Zone, and Ardillando! She is immensely proud of the many students who bring NTTV to life and in particular the fact that students run and control the process. Professor Slocum sees the station as a platform that allows students to practice what they learn in their courses. She refers to this platform as an area of “safe danger” – a place where students can try out ideas without too much risk. Her students have gone on to great success in the industry, including positions in Hollywood, on shows such as Ellen, and on the Howard Stern Show and as reporters/anchors, producers, news directors, and media teachers. NTTV has won 35 Student Production awards from the EMMY Lone Star Chapter as well as many other awards from important organizations in the industry such as the Broadcast Education Association, the TELLY Awards, College Broadcasters, Inc., and the Society of Professional Journalists. Professor Slocum is proud of this acclaim; to her it reflects all the hard work by the students. 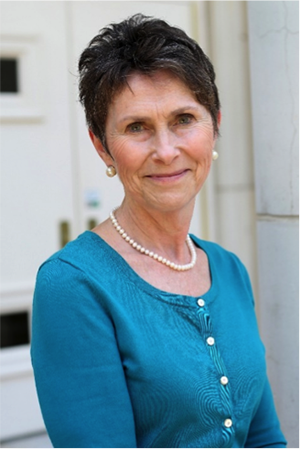 In addition to her work at UNT, Professor Slocum has had a long career in the broadcast industry as an anchor, reporter, news director, producer, and industry consultant among other roles. An engaged and productive faculty is the heart of every successful university. 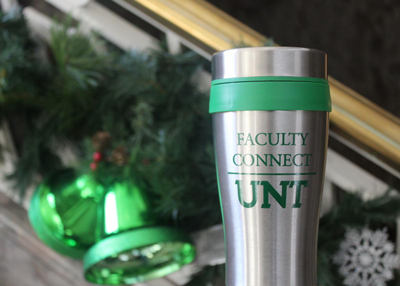 UNT has nearly 1,200 full-time faculty members, and it is important for the university to know about their concerns and needs. In the coming semester, UNT will be running two distinct and complementary surveys. The Gallup survey is very brief and is repeated each January. Its focus is faculty engagement. A more in-depth second survey, Harvard’s COACHE, will begin in February. This latter focuses on faculty satisfaction and allows benchmarking with peer and aspirant universities. All faculty members are urged to complete both surveys. Robust participation will allow for much more effective decision-making. Please be on the lookout for more details in January 2018. 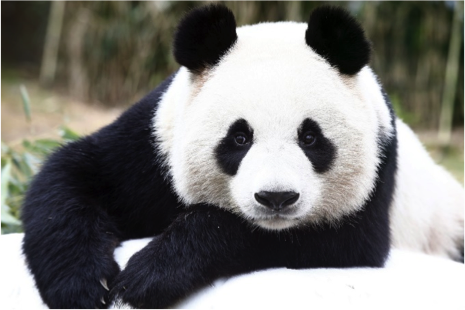 Perhaps you have caught sight of the Canvas Panda around the campus of late. In case you haven’t heard, UNT is moving to a new learning management system. Over the next year, we’ll transition from Blackboard Learn to Canvas. Interested in learning about how Canvas works? You can request a “sandbox” in which to explore. If you’d like more information or to request to have one or more of your Blackboard courses migrated to Canvas, you’ll need to fill out a request form on the CLEAR website. Are you or your department interested in offering a UNT course in an international setting? The Study Abroad Office is currently accepting proposals for Wintermester 2018-19 and Spring 2019 faculty-led study abroad programs. Visit the Study Abroad Office’s Faculty and Advisor webpage to learn about the requirements and how to submit a proposal. Proposals will be accepted through Dec. 31, 2017. Kate Jordan, program coordinator, is available to meet with potential faculty leaders to clarify the process and refine ideas prior to submission. Contact Kate.Jordan@unt.edu to request a consultation. Go early and stop by the UNT Staff Senate's table just outside the Union Ballroom for the National Marrow Donor Event. People ages 18 to 44 are encouraged to join the registry at no cost—just a quick cheek swab! You can participate in WFAA Santa’s Helpers Toy Drive by bringing a new unwrapped toy to the party as a donation. Congratulations to Janie Stidham of the Department of Design, winner of November's giveaway! With winter rapidly approaching, this month’s giveaway is this drink cup for keeping your coffee, tea or cocoa hot. UNT faculty members who register by Dec. 15, 2017, will be entered into this drawing. Please click here to register.